As a concept, solidarity is ambiguous. It defines both a factual interdependence of individuals and the value of these mutual dependencies. Politically, it has a long history spanning a wide range of ideologies including liberal, socialist, Christian and anarchist projects among others. Through an examination of various practices of solidarity that emerge in the wake of crises I wish to reflect on their potential to produce change. What kinds of struggle are enacted through what kinds of solidarity? Solidarity is a coming together but the motives and objectives of this process can have multiple political implications. Solidarity may be understood as corporative togetherness (religious, ethnic, nationalistic); or as autonomous liberal cooperation (volunteer mobilization); or as a collective structural force (class-like struggles). Radical social movements use “solidarity” as a rallying cry. This talk seeks to explore the following question: Beyond its description of a practice, can solidarity propose a coherent transformative project? 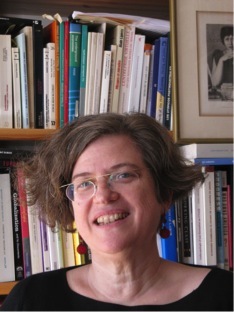 Susana Narotzky is Professor of Social Anthropology at the University of Barcelona, Spain and Fellow of the Amsterdam Institute for Social Science Research, University of Amsterdam. In 2011 she was awarded the five year Fellowship ICREA-Academia by the Generalitat de Catalunya. Her most recent project “Grassroots Economics: Meaning, Project and practice in the pursuit of livelihood” [GRECO], has been funded by a European Research Council Advanced Grant. She has been a member of the Advisory Council of the Wenner-Gren Foundation for Anthropological Research (New York) and is past President of the European Association of Social Anthropology (EASA). She is a member of the Committee for World Anthropologies of the American Association of Anthropology (2013-2016).